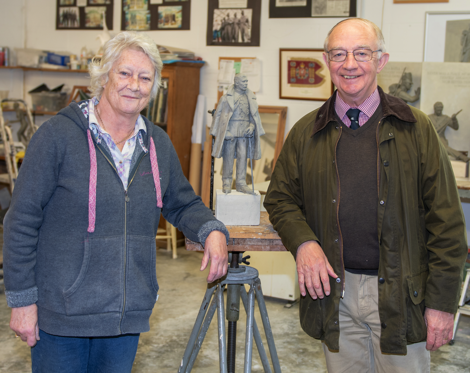 Members of the Project Team lead by Sir Chris Coville visited the artist chosen to create the statue of Lord Trenchard on 9th April 2018 at her studio. They were able to finalise the terms of the contract and the artist, Viv Mallock, showed the team the early design study of the statue. 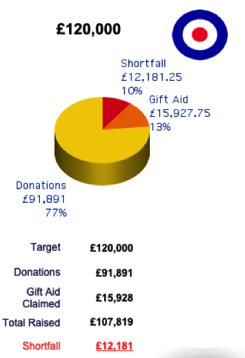 I am delighted to report that we have now exceeded the £100K mark for the Trenchard Memorial Statue Fund. In essence, we can now pay for the statue, the plinth and the expected planning costs. However, we are still short of the essential £20K needed for ongoing maintenance and a reasonable contingency against the unexpected; so please, if you can, do help us push this vital Cranwell 100 project across the line! 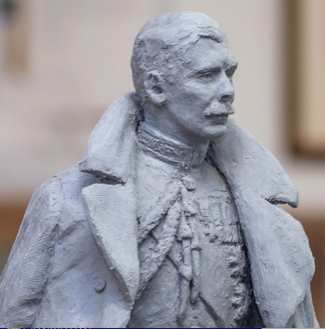 As far as next steps are concerned, we have given the sculptor, Vivien Mallock, the go ahead for the next stage, which is enlargement from the small maquette to the full size image; after this has been closely scrutinised for accuracy and effect, the bronze image will be produced. In the meantime, obtaining full planning permission, complicated by the College’s special status, is proceeding well, and is now considered on target. I hope you share our excitement at his tremendous tribute to our Founder and Father of the Royal Air Force. As a reminder, to make a contribution, simply contact Mike Horton who is acting as the Appeal Treasurer.